In our continual quests to improve website efficiency, whether for traffic, conversions or sales, we seek and strive for means to obtain actionable intelligence. We dive into our Analytics, build custom dashboards, develop stories, and even query the Magic Eight Ball. But the biggest questions are always being investigated: where are they coming from, where are the most profitable coming from, and which messages/campaigns are having the greatest impact? To investigate those questions we need to first dive into Attribution: being able to attribute a Visit to a Message. And to do that, we need to go back to a technological innovation first introduced into Google Analytics over a decade ago, but often neglected: The UTM Codes. UTM (Urchin Tracking Module) codes are a long-favored and standard method of incorporating data into a URL string that can then be seen within a base-level installation of Google Analytics and other analytics software. A UTM code begins with a base URL, then adds additional variable:value combinations of Source*, Medium*, Campaign name*, Term, and Content, which can then be parsed and used as a starting point for session and goal origination. It enables an organization to engage in an organized URL click campaign, whether on CPC, referral links, emails or social sharing, or even print campaigns. Why aren’t UTMs more prevalent? By not using a UTM-coded link, one of the most important factors (visit origin and click inception) is being lost. You might know where the user came from, but not what link initiated the visit. It is then left to the Analytics analyst to hypothesize that origin or make assumptions that could incorrectly steer your marketing efforts. The UTM encoding is comprised of five variable/value pairs: source, medium, campaign, content, and term. Source, medium, and campaign are required, content and term are optional. For source and medium, we'll want to try to align them as best as we can with Google Analytics' presets, which we'll explain in a moment. The specific source that you are sharing the link to such as Twitter, NYTimes.com, email newsletter, Route 9 billboard, Channel 5 news, etc. The advertising or marketing medium where the link is being placed such as social, website, email, cpc, print, radio, etc. To align with Google Analytics, begin with the following options: organic search, social, email, affiliates, referral, paid search, advertising, display. If your medium does not fit well within any of those options, feel free to venture out, but try to keep consistency. Give your campaign a name so you can differentiate it from other similar campaigns. Keep it identifiable. (optional) Similar links within the same campaign? Use this to differentiate them. (optional) Running the same campaign but perhaps with different keywords or hashtags? Put them here. Back to the alignment, for source and medium we want to try to match sources and mediums to the defaults in Google Analytics so that content can be most accurately grouped. For example, in the Source report in Analytics, you'd want all traffic from Twitter to be found grouped by "twitter"; but if you called it "Twitter social network" it wouldn't group properly. If aligned you'd then be able to segment traffic from Twitter via campaigns versus "organic" Twitter traffic. If we're going to go through the added effort of using a UTM code for our link shares, then there has to be value to be gained in the form of actionable intelligence. Like many things, the value in UTM codes comes from making a concerted effort to use them whenever and wherever possible. UTM codes can enable you to test which of your messages is resonating, either driving the most traffic or the most valuable traffic. For example, let's say you're an avid Twitter user, following recommendations to share the same link often. To avoid being flagged as duplicate content, you change the content accompanying the link, often with different text and hashtags. If you're not using UTM codes, all of the traffic from those tweets will come to your Analytics looking the same, as a referral from Twitter. Sure, you'll have some of the metrics from within Twitter, but you won't be able to connect a Tweet to a Conversion. By using UTM codes in your link you'll be able to tie a Conversion to a Campaign, and if you're keeping track of your URLs and the campaign text that went with them, be able to repeat or even improve upon your successful messages. Just because a link is clickable does not mean its source is tracked. Lost referrers are actually a common problem for many social apps, Instagram being the most common. The reason this happens is because some apps force a clicked link to open outside of the application in the browser of the user, and in doing this, lose the referring data source. The traffic instead looks like Direct traffic, when instead it should be Referral traffic or Social traffic. You might be getting incredible traction and traffic from Instagram, but you'd never know it looking at your Analytics. In much the same way as the above example about referral data being lost in app clicks (making it look like the URL was typed in directly), a UTM code can enable you to create a shortened link to your website that contains campaign data relating to an offline campaign. A URL like http://goo.gl/nJeN8g (or using a custom URL shortener) could be put into a print add or billboard that is easy to type in, yet expands to a full campaign URL enabling tracking of traffic and results from a printed offline source. Common practice these days is to use the main brand domain with a short direct link, such as confluentforms.com/startpage, but as you can imagine, this could easily get confused with other traffic sources that were not a result of the print campaign. Once a click occurs through a UTM-encoded URL, the campaign data can then be found within your Google Analytics reports under Acquisition > Campaigns. While the default view is Campaign, you can also toggle to Source and Medium, as well as isolate within specific entities. As shown in the graphic, you can see session data in aggregate including conversions, and if you're familiar with segments, you can use advanced segmentation to parse out even more nuance from your campaign data. 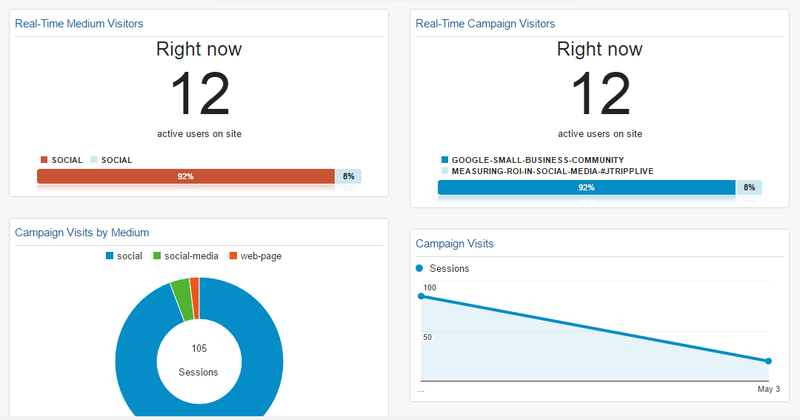 Perhaps the best way to see campaign data is through a dashboard for campaigns, and we've created a starter dashboard here that you can easily install into your Google Analytics. We know that UTMs are not the easiest technology to make use of, from remembering to use them, to structuring the data, to tracking and analyzing the results in Analytics. To help you, we've taken it upon ourselves to create a new product, UTM For The Win. 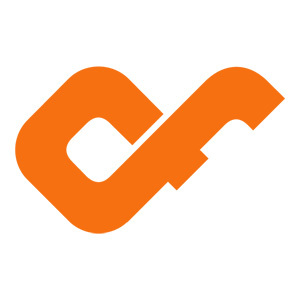 Through the use of a custom Chrome browser plugin, our goal is to make the process of incorporating UTM codes into your normal behavior flow, rather than something that you need to remember to do. visiting a page ↦ generating a UTM-encoded URL ↦ generating a shortened link ↦ sharing the link. No hoops to jump through, just a quick and easy process, so make it part of your process.